BERLIN (Sputnik) - A court in Germany issued a warrant for the arrest of the eighth suspect in the Chemnitz case that may have been planning a terrorist attack, the federal prosecutors said Tuesday in a statement. "An investigating judge of the Federal Court of Justice granted the federal prosecutor an arrest warrant for 28-year-old German citizen Maximilian V. The accused was detained yesterday (October 1) in the evening in Chemnitz area," the statement read. The detainees are suspected of setting up the Revolution Chemnitz group, whose aim was to attack political opponents and migrants. 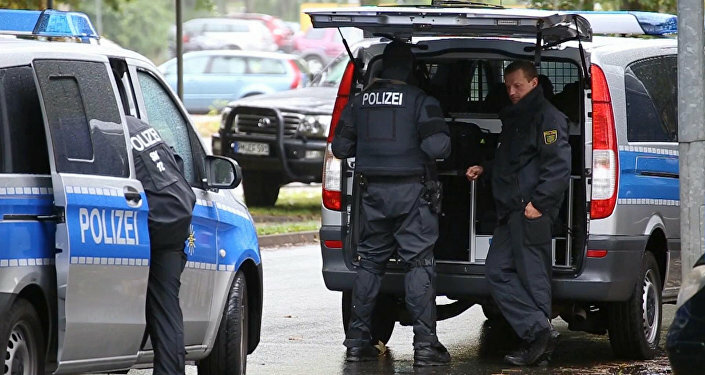 Several of the detainees are suspected of attacking foreigners in the city of Chemnitz in mid-September, while another attack was reportedly planned for October 3. Some of the group participants were planning to obtain rifles. Chemnitz has seen since a number of rallies for and against migration since a local resident was killed in late August. Two people of foreign origin were detained as suspects, but one of them was later released. Hans-Georg Maassen, the head of Germany's domestic intelligence agency, had to step down in September after he expressed doubt that the video footage of a mob harassing migrants in Chemnitz was authentic.